A pest control myth. Some households or business owners tend to think that pests would naturally come and go, especially during cold and rainy months. What you may not know is that they’re already damaging your property, breaking it down piece by piece. To get rid of these unwanted pests, U.S. Termite, the pest control experts in Chesapeake, Virginia, employ safe and effective systematic extermination solutions. Initially, our Pest Control Operators (P.O.) would inspect the property, tracing the hiding places of the pests. They would determine where the vermin are lurking and assess the severity of the infestation. After the assessment, the P.O. would start applying our green pest control products to eliminate the pests. It is necessary to kill the adults and the breeders to stop the pest infestation. The P.O. also has to treat the eggs that hatch. There is, however, no effective treatment while the pests are still inside the egg shells. This is why we use Insert Growth regulators (IORs) alongside quality products to disrupt and impede the growth cycle of insects. This method prevents them from reproducing, reducing their population and making them easy to regulate. Some buildings become free from pests after one treatment. Others, however, require more treatment sessions to totally get rid of the irritating invaders, such as mice, cockroaches, and termites. Your treatment procedure depends on the type of pests in your property, how fast they can reproduce, the length of their stay in your property, and the accessibility of the infected places. 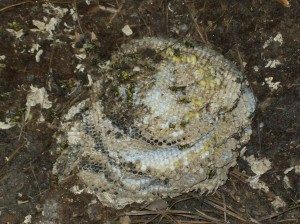 Occasional invaders are the types of pests that enter your property as the season changes or due to weather disturbances. Centipedes and beetles invade your property when the outdoor temperature becomes unbearable. They seek shelter in your property, which may provide sources of food and warmth. To eliminate these occasional invaders, it is best to arrange for a quarterly pest control treatment. Whether house pests or occasional invaders, pest infestation should be handled professionally. Keep an open communication with your P.O. to appropriately regulate the infestation in your properties. Discuss with them your specific concerns, so they can get a clearer picture of your problem. Contact our pest control specialists today, so we can start inspecting your property and discuss your concerns.